Byenveni sou Fowòm Moun Lazil! Anpil Ayisyen k ap viv nan dyaspora pa bliye lakay nèt ale: yo voye transfè Ayiti tanzantan, yo telefone pou ret an kontak ak fanmi yo, yo vwayaje Ayiti (pou kèk ka tankou antèman, maryaj, maladi pou al ede), epi genyen ki ede nan kreye kèk òganizasyon pou ede zòn kote yo soti Ayiti. Malgre nan nòt anba yo nou ta plis santre sou moun ki orijinè komin Lazil, men nou rete kwè li kapab sèvi kòm modèl pou lòt zòn Ayiti tou, pou wè kijan yo menm ki nan manman peyi a (Ayiti) kapab regwoupe yo ak sa yo k ap viv nan dyaspora pou ede pwòp zòn pa yo. Welcome on the Lazil People Forum! Many Haitians who are living in diaspora don’t totally forget home: they send transfers to Haiti from time to time, they call to remain connected with their family, they travel to Haiti (for some cases such as funeral, wedding, sickness where they bring their help), and there are some who help founding some organizations to help the area they come from in Haiti. Despite our focus in the notes below would be more on people originated from Lazil, but we believe that it can serve as model for other areas in Haiti, to see how they themselves can regroup with those in diaspora to help their own area. M ap salye tout moun Lazil, e tout zanmi ki konekte ak Lazil alawonnbadè. Yon kout chapo pou tout moun ki soti nan komin sa a, e ki fè yon bagay deja pou ede l (yon fason, yon lòt)! Mwen toujou di tout Ayisyen: se nou menm Ayisyen ki pi konnen pwoblèm Ayiti. Donk se nou menm ki pi kalifye pou ede solisyone yo (si nou vle travay ansanm, e si nou kwè nan tèt nou, nan sa nou ka fè). I would like to greet all people from Lazil, and all friends everywhere who are connected with Lazil. Hat off to everyone who is from this commune, and who has done something already (one way or another)! I always say to all Haitians: it’s us Haitian who know best Haiti’s problems. So we are more qualified to help solving them (if we want to work together, and if we believe in ourselves, in what we can do). N ap viv nan yon epòk modèn, yon epòk wot teknoloji, e n ap gade aplikasyon sa an Ayiti. Malgre tout pwoblèm politik, e ekonomik Ayiti ap andire, wot teknoloji a rive la tou. Menm si nou (ki nan dyaspora) pa t gen tan viv tout pwoblèm Ayiti 30 dènyè yo, men yo gen fanmi ak pwòch Ayiti ki esperyanse yo. We are living in a modern era, an era of high technology, and we are looking at its application in Haiti. Despite all the political, economic problems Haiti has been facing, high technology has arrived there also. Even those of us (in diaspora) who did not live all Haiti’s problems the last 30 years, but they have family and love ones in Haiti who experienced them. Lè n ap gade telefòn selilè pa egzanp, kote kèlkeswa andwa n ta ye an Ayiti (jodiya), nan kèk segond nou kapab telefone yon moun ki yon lòt kote nan peyi a, e menm nan peyi etranje. Epi si nou gen aplikasyon WhatsApp, nou ka pale dirèk dirèk ak tout lòt moun ki gen menm aplikasyon an nan telefòn yo. When looking at cell phone for example, no matter where we would be in Haiti (today), in few seconds we can call someone who is anywhere in the country, and even in foreign countries. And if we have the WhatsApp application, we can speak directly with all other people who have the same application in their phones. An gwo, nou pa reyèlman gen pwoblèm kominikasyon (o nivo teknik nan yon sans), pou n pa ta kominike (ant nou menm Ayisyen). Sepandann, nou kreye yon pwoblèm kominikasyon lè nou pa fè efò pou esplwate opòtinite teknoloji modèn ofri nou. Se yon kesyon nou kite ouvè pou tout moun panse a li. All in all, we don’t really have problem with communication (at the technical level in a sense), not to communicate (among us Haitians) However, we do create a communication problem when we don’t make an effort to exploit the opportunity that modern technology offers us. It’s a question we leave open to everyone thinks about it. Donk pou nou menm, moun Lazil (Azilwa /Asilois(e), jounen jodiya, kèlkeswa kote n ta ye sou planèt latè, nou kapab kominike youn ak lòt, epi rasanble nou pou ede Lazil (enkli seksyon riral li yo). Gen anpil ti efò ki fèt deja men ann kontinye pou n eseye leve gwo defi yo ansanm. So for us people of Lazil, no matter where we may be in the world today, we can communicate with one another, and get together to help Lazil (including its rural sections). Many (little) efforts had been done already but let’s continue trying to taking up the great challenges together. Si nou rive rasanble nou, epi rete an kontak, gen anpil posiblite pou n reyèlman ede komin Lazil, e eseye wè nan ki mezi nou kapab debouche sou wout kreyasyon enfrastrikti de baz yo. Wi, nou kapab! Men se sèlman si nou rasanble nou, gen yon sèl vwa (objektif) pou ede devlope Lazil ansanm, e nan avantay pèp Lazil la, ki plis nan bezwen. If we get together, and keep in touch, there many possibilities to really help the commune of Lazil, and try to see to what extent we can open out onto the road of creation of basic infrastructures. Yes, we can! But it’s only if we get together, have one voice (objective) to help develop Lazil together, and in the advantage of the people of Lazil who are more in need. Se jis kèk nan sijè (enpòtan) ki ka debat (an gwoup), epi wè sa k ka fèt (nan potansyèl nou) pou ede pote kèk solisyon… N ap panse kreye yon Anyè Moun Lazil sou entènèt la dekwa pou elaji rezo kontak moun zòn sa a (tout kote yo ta ye nan lemond). These are just some of the (important) subjects that can be debated (in group), and see what can be done (in our potential) to help bringing some solutions… We are thinking of creating an online Directory of Lazil People in order to widen the contact network of people from that area (where ever they may be on the planet). Donk, tout moun ki ta renmen non yo (# telefòn, imel, ralonj wèb) yo pibliye nan ànyè sa a, pa gen pwoblèm pou ajoute l, osilonton yo ban nou otorizasyon fè sa. Se la n ap rete. N ap swete ide sa yo kapab sansibilize tout moun Lazil (youn di lòt), e tout zanmi ki konekte ak Lazil pou pran avantay wot teknoloni ofri pou n travay nan modènizasyon Lazil. N ap tann kontribisyon tout moun (pou voye ban nou: dokiman, foto, entèvyou, kòmantè) pou ede anrichi ralonj wèb sa a. N ap di w byenveni! Patriyotikman, E. V.
So, everyone who would like their name (phone #, email, web link) to be published in that directory, no problem we can add it, as long as they give us the authorization to do so. We will stop here for now. We are hoping these ideas can sensitize all the Lazil people (one tells another), and all friends who are connected to Lazil to take advantage of that the high technology to work toward the modernization of Lazil. We are waiting for everyone’s contribution (by sending us: documents, pictures, interviews, comments) to help enrich this web link. You are welcome! Patriotically, E. V.
Aktivite touristik: Touristic activities (e.g., sit touristik : touristic sites). Anyè (Gran Anyè Elektwonik Ayiti: Haiti’s Super Web Directory. Boulanjri (non yo): Bakery (name). Depite (reprezantan Lazil nan palman): Representative (in the Haitian parliament). Ekri ki an rapò ak Lazil: Writings related to Lazil. Lazil gen dlo, ede l jwenn dife; Sezon sechrès Ayiti (woman peyizan baze sou Lazil (kòm andwa): Peasants’ novel with setting on Lazil). Fèt Drapo (18 me): Flag Day celebration, May 18. Fèt patwonal: (local) Festival in honor of the patron saint. Flore & Faune: Flora & Fauna; Agrikilti ta dwe premye sib nan devlopman Ayiti: Agriculture the first Target for Haiti's Development. Boston Haitian Reporter, July 2004. L'Agriculture devait être le premier cible du développement d'Haïti; Ann pale de bwa ak fri Ayiti! 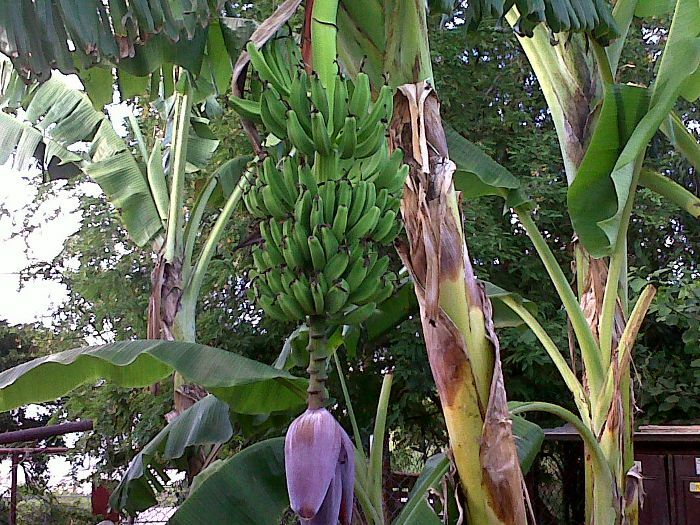 : Let's talk about trees and fruits in Haiti! (ref. Materyèl Edikatif pou Bileng Ayisyen, pp. 160-180). ; Dyalòg sou rebwazman an Ayiti: Dialog on reforestation in Haiti; Estrateji Pou Rebwaze Ayiti | Strategies to reforest Haiti; Quelques plantes créoles et leurs noms en latin : Kèk plant kreyòl ak non yo an laten: Some Creole plants and their names in Latin; Kijan yon plant fèt : How a plants is made (Formation d'une plante); Le reboisement d’Haïti, un défi politique et environnemental: Kisa k dwe fèt reyèlman pou rebwaze Ayiti? (What’s really needed to be done to reforest Haiti?). Haiti (landscape, courtesy of Dr. Josee Vedrine). Itilite (dlo, elektrisite, telefòn) : Utility (water, electricity, telephone). Kesyonnen Kilti Ayisyen pou aprann plis de li : Questioning Haitian Culture to learn more about it. Kote pou desann Lazil : Where to stay in Lazil. Legliz: Churches: Eglise Catholique St.Joseph (Lazil); Eglise Baptiste de Belle-Vue;---; (diaspora: Eglise Baptiste Missionaire de : Boston Missionary Baptist Church). Mache (jou Mache /madi, jedi: Market day /Tuesday, Thursday). Mache ouvè : Open market. Materyèl pedagojik pou ede lekòl: Teaching materials to help schools; Materyèl pou debitan nan lang anglè: Kreyol Without Toil: An introductory course to Haitian Creole. Òganizasyon: Organization. A.D.A (Association pour le Developpement de l’Asile). Otèl, Guest House: Hotel, Guest House. (gade | look at : «Kote pou desann Lazil : Where to stay in Lazil». Ouragan (tanpèt, siklòn): Hurricane … Flora, etc. Peyi m rele Ayiti (istwa) | My country is Haiti (history). Pwojè Ekri pou ede avèk Devlopman Lazil: Writing Project to help with the Development of Lazil. Rezo Etidyan Ayisyen, Ayiti -- Dyaspora: Network of Haitian Students, Haiti – Dyaspora. Seksyon riral Lazil: Lazil rural towns. Sijesyon (pou) aktivite lekòl: Suggestions (for) school activities. (jou vandredi : on Fridays). Sous (dlo) non yo: Springs (names). Wout e kondisyon yo: Roads and their conditions.